Back in February I mentioned that our little editorial group has had six different titles hit Amazon's Top 25 list for Computers & Internet titles. 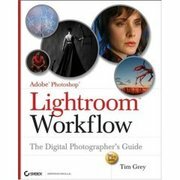 That number just climbed to seven as Tim Grey's latest gem, Adobe Photoshop Lightroom Workflow, is currently #2 on the list. It's also currently #8 on Amazon's Movers & Shakers list, up 1,931% in the past 24 hours. Congrats to Tim and the entire Sybex editorial and marketing team for this latest hit! 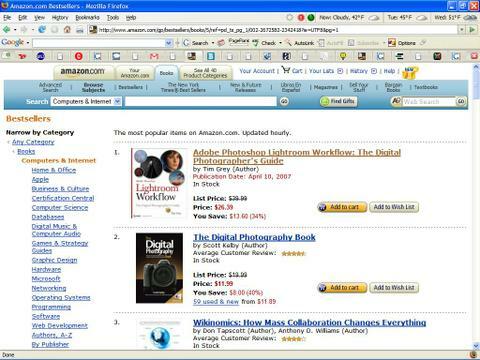 Update: Tim's book is now #1 on the Computers & Internet list (see screenshot below).